For last 3 years I'm writing tutorials on Industrial Engineering topics ... and I learned many things on Industrial Engineering in this process. How did I learn that much of Industrial Engineering? In this post I will share methods that I used to learn (and still using) Industrial Engineering and how you can too learn it. These are non-traditional learning methods but very effective. You can copy my techniques and learn Industrial Engineering. I don't have an Industrial Engineering degree. Whatever I know and learned about Industrial Engineering is by doing it myself. I read Industrial Engineering topics in college. I had seen many IEs to practice Industrial Engineering methods and to use IE tools in factories during my Internship and Graduation Project. When I was heading the Production Planning Department in an export house, I used to implement basic Industrial Engineering tools in the factory. I did many mistakes initially but I learned from my mistakes. So you can too learn Industrial Engineering by doing and practicing it on the floor. While doing something first time, you might make mistakes. That is the way to learn things. Keep it up. I learned production planning and merchandising also by doing it. I love to teach learners. Earlier I used teach my subordinates. When I was consultant I taught many participants from client companies. When I teach others I learn many things in the teaching process. You might read IE tutorials (articles) in OCS. Do you know how I learned all those topics? All because of OCS readers who force me to learn, so that I can teach them later and can write new tutorials. I get questions on various topics from OCS readers. I prepare the answers and when I prepare answer for a particular question, I need to research and read the topic first. Thus I learn it. To learn IE you can too start teaching your subordinates or juniors. You don't need to be master in your subject to teach others. Whatever you know more than others you can start teaching with that only. When you start teaching, you will be asked questions by your students. It is not necessary that you have to know all answers. If get chance you can learn the answer of the question and answer to your students. If don't find your student start teaching others from production department. If nobody asks you question, head over to OCS Forum and give answer to the questions that are posted there by other members. This is the easiest way of learning something. When I meet with Industrial Engineers in export houses I ask different types of questions to them for clarification. I get answers for most of the questions, as they are working on this field for many years they know the answer. You can also start asking question to your seniors, when you need to know something. If you don't have senior or experienced colleague, you are welcome to send your questions to me or post your questions to the OCS Forum. I read articles on magazines or in the Internet daily. I learn many things by reading and also discover new areas of learning by reading. My reading topics are not limited to apparel production and Industrial engineering only. I read various topics to get ideas. You can also start reading technical magazines related to Apparel Production Management and Industrial Engineering. If you don’t like to spend money on print magazines, read free articles on the Internet. 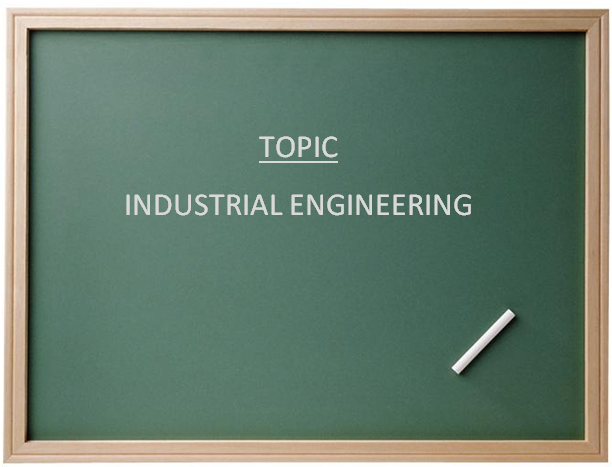 By reading articles on Industrial Engineering you can increase your knowledge and you can teach others a new topic. This is a great way of learning. Currently I don't have Industrial Engineering colleague. But I spent 2 and half years with a group of IEs. That time we had lot of discussion on Industrial Engineering. Still I practice this process of learning. As I said I regularly visit garment export houses. When I meet with factory IEs, we discuss things whatever we find interesting, within IE or out of IE topics. YouTube is a great source for learning by watching videos. You will find numerous videos on sewing operations for different products, semi automatic and fully automatic sewing machines, and different types of material handling equipment. When you watch videos, observe it closely. You can learn many things like, good movements, workstation layout, working speed, machine types, attachment and guides used and many more things. There is no end of learning. And nobody can improve his/her performance continuously without learning. I have explained above how to learn Industrial Engineering. But these techniques are applicable to anything you like to learn. Online Clothing Study: How I Learned Industrial Engineering (and How You Can Too)? How to learn industrial engineering - my ways for learning.